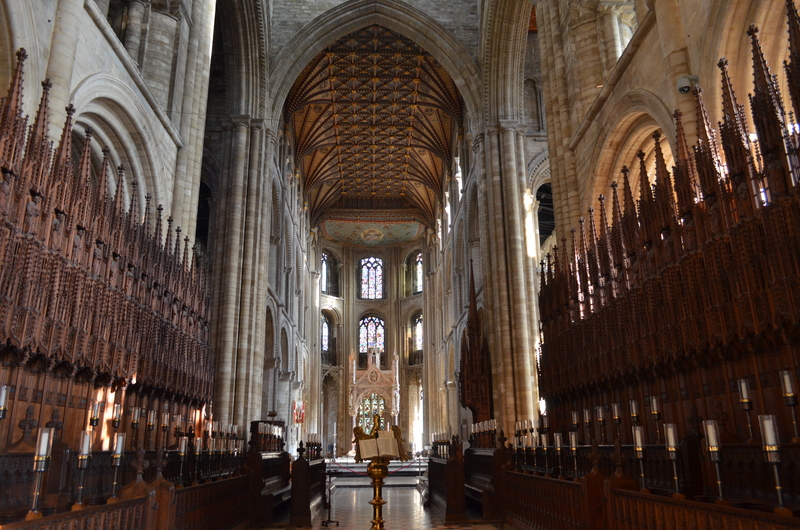 The Cathedral Church of St Peter, St Paul and St Andrew, Peterborough Cathedral is a glorious mostly Norman cathedral based in the heart of Peterborough, East Anglia. 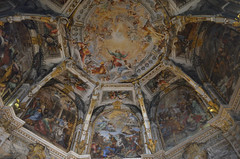 There has been worship on this site for ca. 1360 years and it has seen the burial of two Queen’s of England, Katharine of Aragon, the 1st wife of Henry VIII and the initial burial of Mary, Queen of Scots, the mother of James 1st. 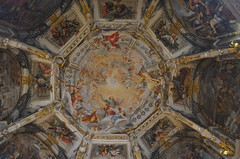 The great cathedral church also survived the upheaval of the Reformation to be the wonderful treasure it is today. The 16th century was a time of much turmoil in England, with Henry VIII’s divorce, reformation and dissolution of the monasteries. 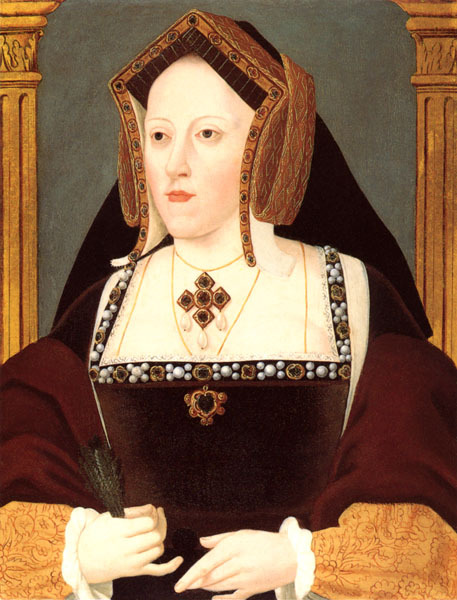 Henry was married to Katharine of Aragon in 1509 and for two decades they were happily married. Sadly, Katharine was unable to give Henry a living male heir, despite at least 6 pregancies. Katharine gave birth to a living boy in 1511, he was christianed Henry, Duke of Cornwall but tragically died 52 days later. All of Katharine’s pregnancies ended in miscarriage, still birth or death excluding their daughter Mary, later to be Mary I who was born in 1516. By 1527, Henry was seeking an annulment to their marriage and had fallen in love with Anne Boleyn, one of Katharine’s ladies in waiting. Henry declared their marriage invalid through the break from Rome and newly created Church of England. She was stoic and strong until the end, insisting she was the rightful Queen of England. In 1531 she was sent from court to live at The More, near Rickmansworth – a 16th Century house previously owned by Cardinal Wolsey. She was never to see Henry again. By 1535 she was transferred to Kimbolton Castle in Huntingdonshire and died in 1536, possibly of cancer. 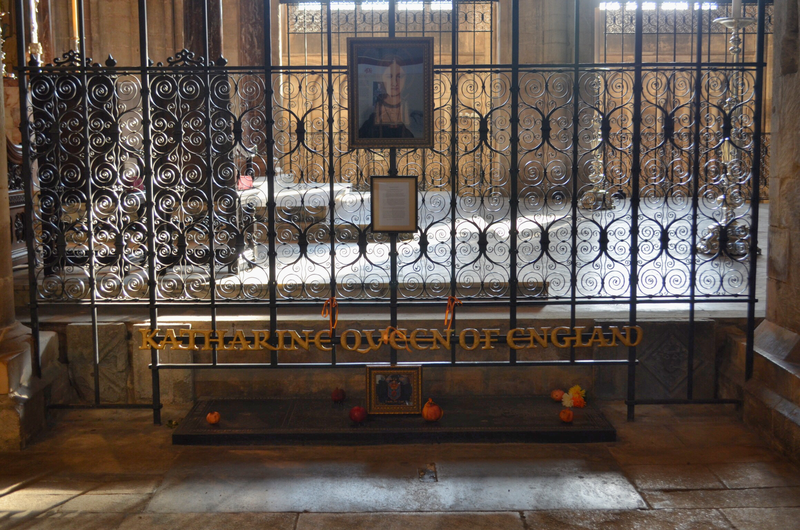 Katharine died on the 7th of January 1536, and was buried in Peterborough Abbey on the 29th of January. Henry had ordered that her funeral be conducted as would be fitting for a Dowager Princess of Wales, in reference to her marriage to his brother Arthur all those years ago, and to reaffirm that their marriage had never been legitimate. A group of clergymen, heralds, and member’s of Katharine’s household led the funeral procession on it’s ca. 27 mile journey to Peterborough, including 50 servants all dressed in mourning carrying torches. The funeral wagon was drawn by 6 horses covered in black cloth, with the wagon itself covered in black velvet with a frieze of cloth of gold. An effigy of Katharine was created to lie on top of her coffin. Following the wagon were Katharine’s ladies as chief mourners, including Lady Eleanor Brandon, the daughter of Mary Tudor and Charles Brandon, Duke of Suffolk. Completing the procession were the wives of Knights, chambermaid’s and up to 36 maids. It must have been quite a sight. The funeral procession was met at Peterborough Cathedral by the bishop’s of Ely, Lincoln and Rochester, amongst other clergy. 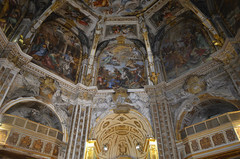 Katharine lay in state for 3 days within the cathedral, surrounded by 1000 burning candles, and during this time each bishop said mass. 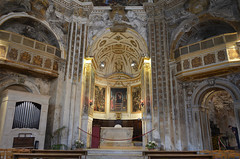 A final mass was said on the 29th of January, and Katharine was buried to the left of the High Altar. 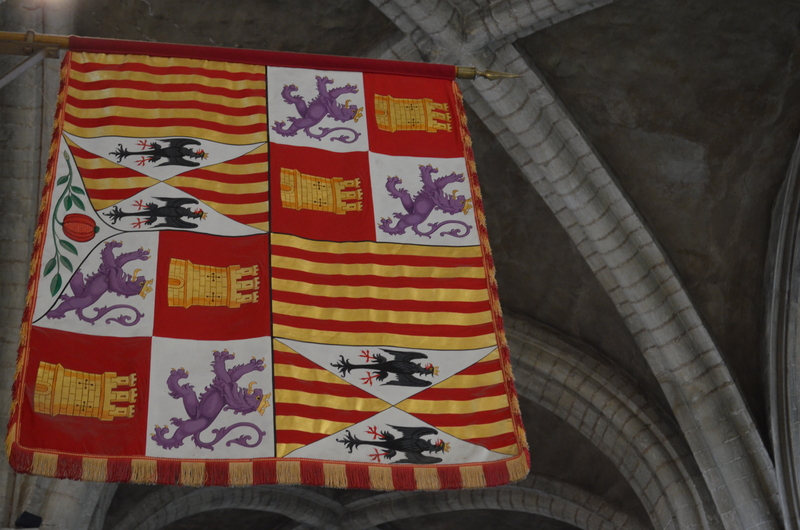 Eustace Chapuys, the Spanish Ambassador and great champion of Katharine did not attend the funeral as he was grieved that she wasn’t buried as a Queen. However the saddest aspect of Katharine’s funeral is that her beloved daughter Mary was banned from attending by Henry VIII, which is yet another aspect of his cruelty. Henry erected a black marble tomb gilded with gold for Katharine, however the tomb was not respected in the years to come with Cromwellian soldiers taking the gold, and the marble tomb was dismantled in the 18th century by a Dean who used the marble for the floor of his summer house! The current monument is in place thanks to Katherine Clayton, a wife of a canon in the 19th century. She raised the money for it’s construction. A queen cherished by the English people for her loyalty, piety, courage and compassion. 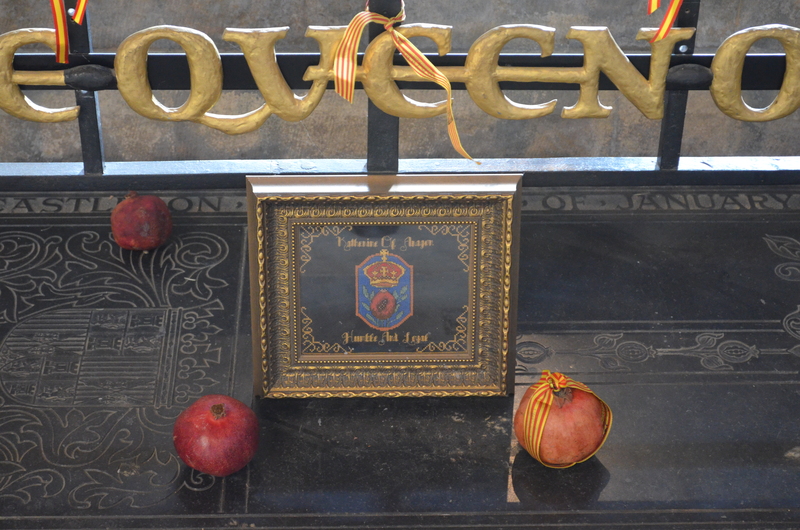 Katharines’ tomb is lovingly looked after, often with decorated with flowers, pomegranates and ribbons. 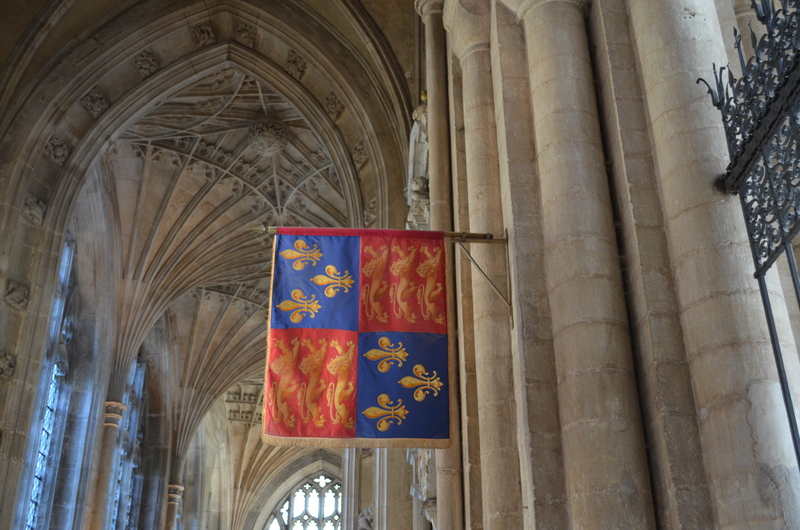 Every year the cathedral holds a festival in her honour, and she is given more respect today that she was during her later life. 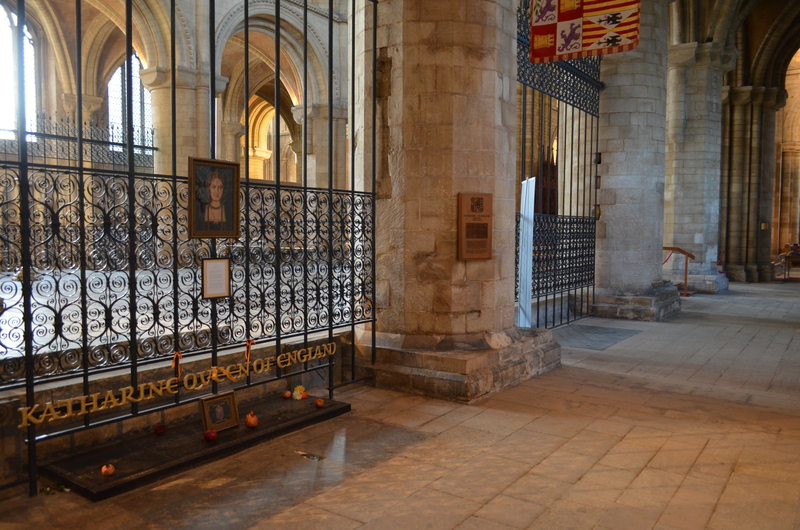 I believe Peterborough Cathedral is a fitting place for her, she is revered and remembered as the strong woman that she was, and it is a beautiful, peaceful place. 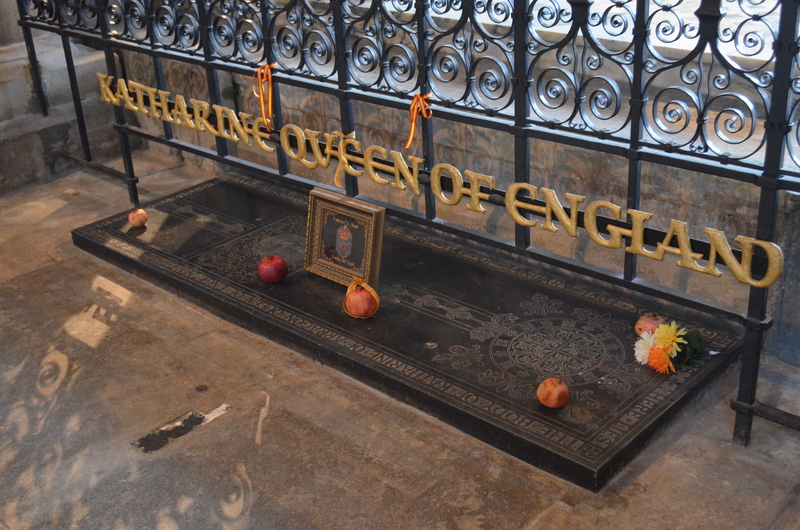 Requiescat in pace Queen Katharine.